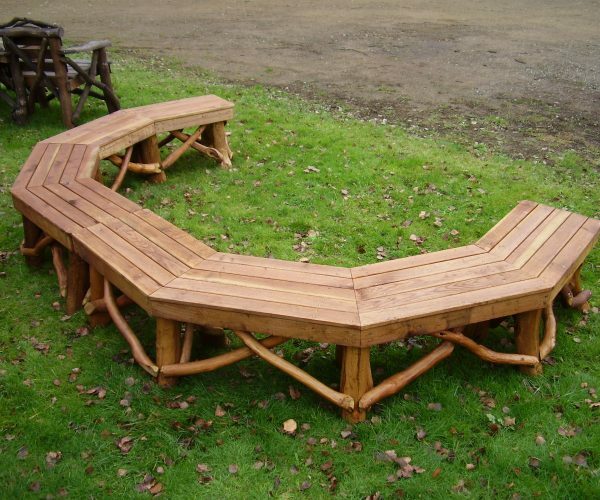 Our beautifully crafted Backless Friendship Bench seats up to 6 adults and is therefore well suited to a larger garden. Originally designed towards outdoor learning within a school environment and with the addition of either our No.51Storyteller’s chair, or No.53 Natural Lath Storyteller’s Chair this combination makes an ideal area for group activities. The option of multiple benches creates enough seating for a full class. Note: This photo shows two benches joined in the centre.